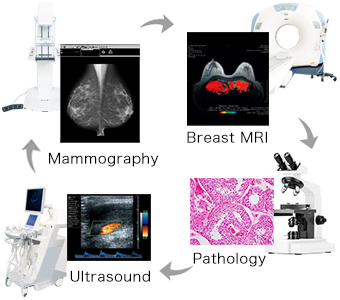 Categories: RadiForce, Mammography, Diagnostic, Pathology. 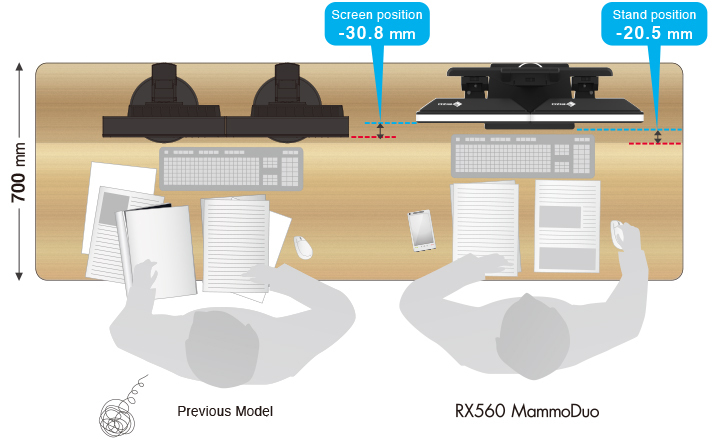 The RX560 MammoDuo integrates two RX560 monitors side by side on a specifically designed stand. 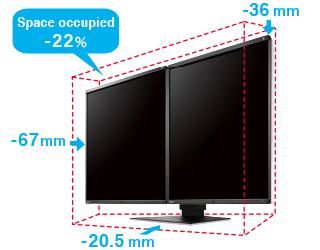 The monitor bezel is just 7.5 mm – the world’s narrowest bezel on a 5 megapixel monitor; making the total distance between the visible screens of the two monitors only 15 mm. Furthermore, the bezel sits only 2.5 mm above the screen, making an almost completely flush bezel to easily switch your view between screens. The RadiForce RX560, sold as a single monitor with stand, is also available. As more image modalities become digitalized, radiologists are viewing an increasing amount of information on their screens. 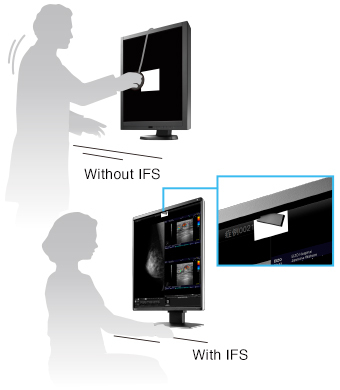 EIZO’s unique Work-and-Flow technology alleviates the complexity of the imaging workflow with new functions developed with the radiologist in mind. 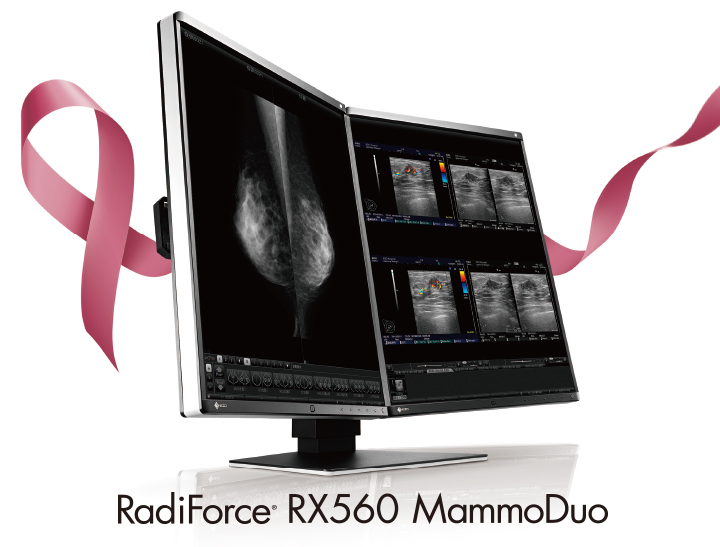 Users can take advantage of Work-and-Flow features with the RadiForce monitor and bundled RadiCS LE software. 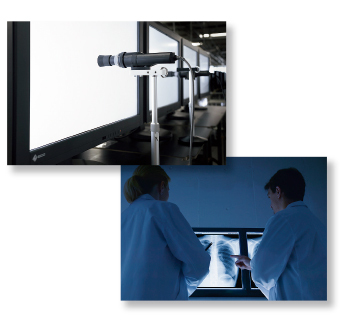 The RX560 is the world’s first medical monitor to use low temperature polysilicon (LTPS) liquid crystal display. 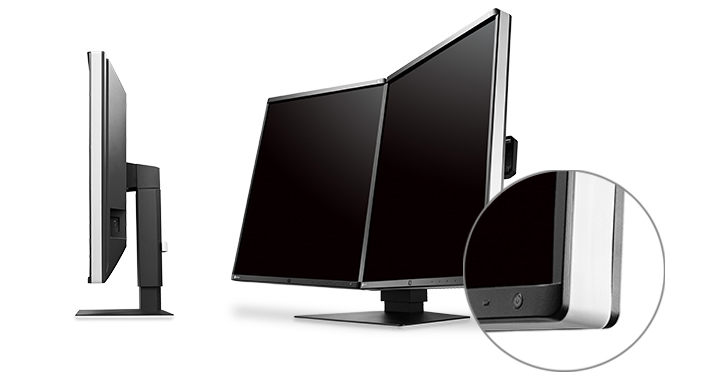 Because of this, the color monitor can reach a brightness of up to 1100 cd/m2, similar to that of monochrome monitors. 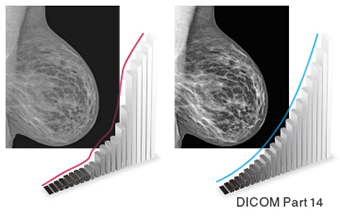 Due to this high brightness, the RX560 can display high-definition monochrome breast tomosynthesis and mammography images with deep blacks and no washout in addition to color images such as ultrasound and pathology. Furthermore it has a high contrast ratio of 1500:1, approximating that of a monochrome monitor, displaying deep blacks without any washout. The Hybrid Gamma PXL function automatically distinguishes between monochrome and color images pixel by pixel, creating a hybrid display where each pixel has optimum grayscale; giving it greater accuracy and reliability than the conventional area-detection method. 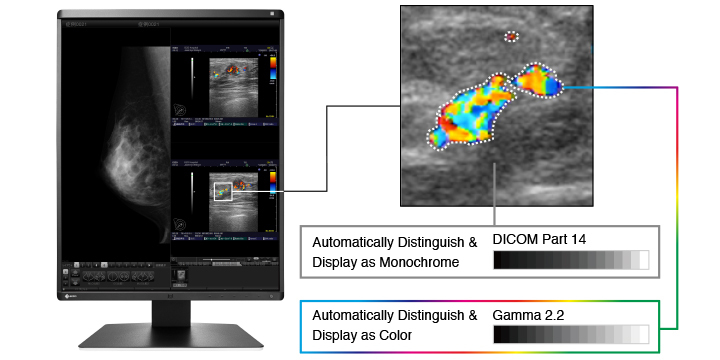 The monitor has a response time of 12 milliseconds, making it ideal for enlarging and panning medical images, as well as quickly displaying breast tomosynthesis which comprises of several images in each shot. 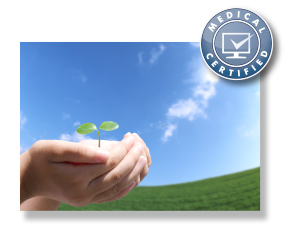 A medical monitor needs to be capable of high brightness in order to meet performance standards. 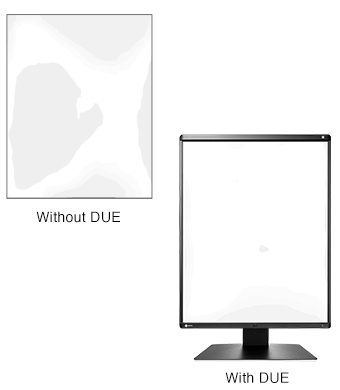 However, in order to achieve high brightness in an LCD panel, the pixel aperture ratio has to be increased. This causes a typically unavoidable decline in sharpness. 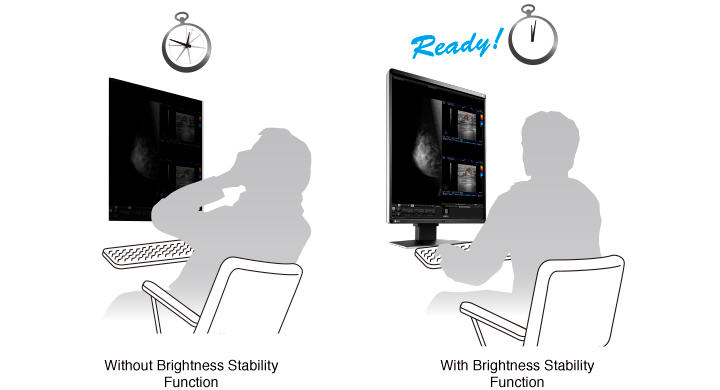 With EIZO’s unique Sharpness Recovery technology, the decrease in sharpness (MTF) is restored . This allows you to display an image safely on the monitor that is true to the original source data, even at high brightness levels. 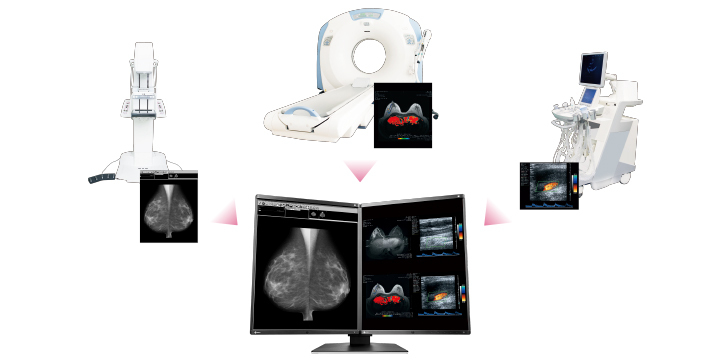 The CAL Switch function allows you to choose various modes for different modalities, such as mammography and breast MRI, ultrasound, and pathology, without the need to calibrate each time.Using the bundled RadiCS LE software, modes can be set to automatically switch to optimal image viewing conditions with the click of a mouse or using the monitor’s display mode. 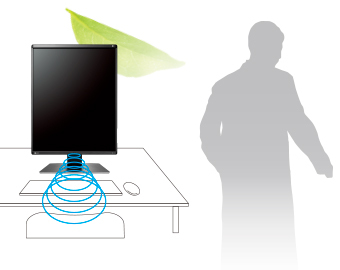 A presence sensor prompts the monitor to switch to power save mode when the user is away and resumes operation upon their return to conserve power when not in use. In the latest RadiForce models, the sensor detects the user’s presence using a heat sensing method. This increases the range and angle of detection compared to conventional detection methods, making it effective when using multiple monitors. EIZO’s highly versatile stand offers tilt, swivel, and a wide height adjustment range, enabling you to use the monitor with greater comfort. EIZO’s easy-to-use RadiCS UX2 quality control software & calibration sensor (sold separately) performs precise calibration conforming to DICOM Part 14 and enables quality control (QC) complying with ACR Practice Guideline and other QC standard for digital mammography monitors.